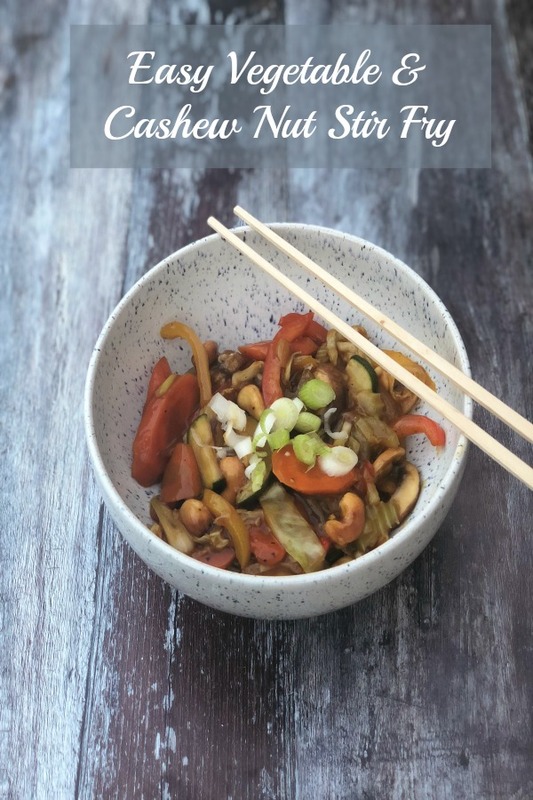 If you love a fresh and delicious stir fry, you will love my Easy Vegetable and Cashew Stir Fry. 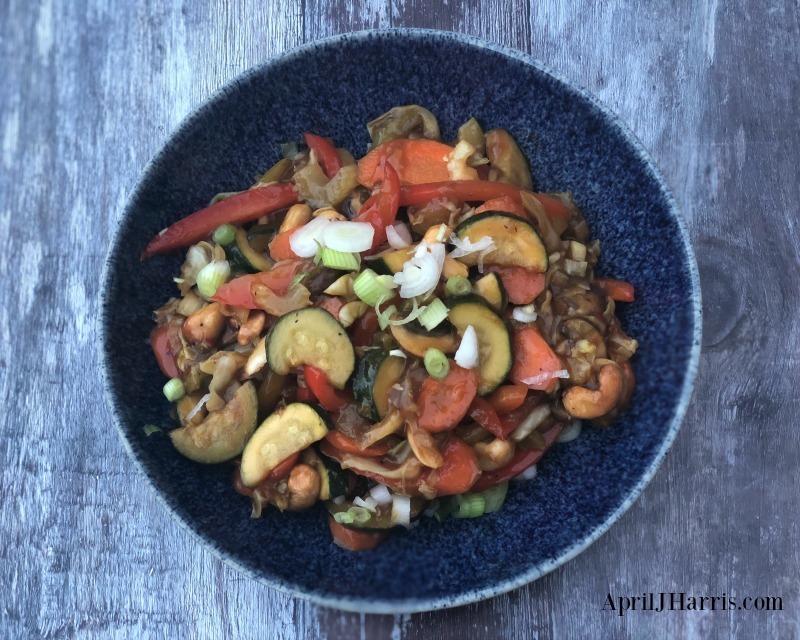 With lots of fresh veggies, crunchy cashew nuts and a deliciously spiced sauce, this recipe takes make your own take out to a whole new level. I’ve been an Occasional Vegetarian for years, and I’m always looking for delicious, nutritious, meat free recipes to help keep me on track. This one is a real favourite. As it is vegetarian and can also be vegan and gluten free, it’s suitable for just about everyone. 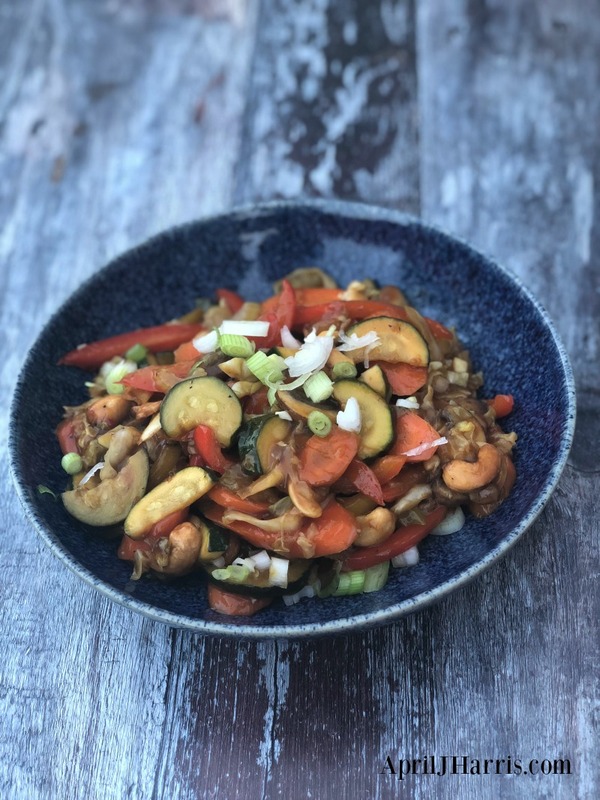 Of course, it’s easy to whip up a stir fry with lots of fresh veggies and a bit of soy sauce, but a great sauce makes a real difference. I prefer homemade sauces because so often jarred sauces are very high in calories, sugar, preservatives and other ingredients that are not very good for us. Plus, this sauce uses simple store cupboard ingredients that are available just about everywhere. 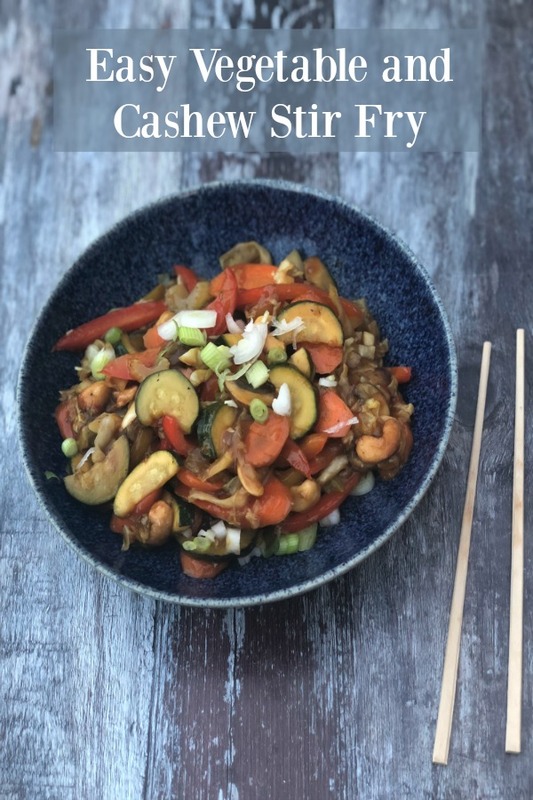 It almost goes without saying that you can vary the vegetables you use in my Easy Vegetable and Cashew Stir Fry depending on what you like best or what you have on hand. I’ve offered some suggestions in the recipe, but honestly, there is no wrong vegetable for this stir fry. Just be sure to cut any veggies in thin slices so they cook quickly. 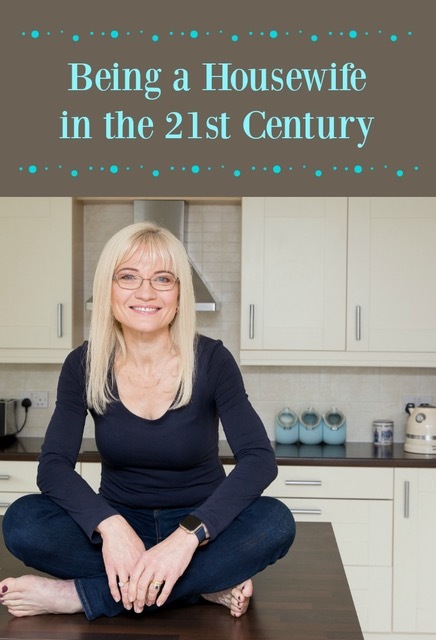 The recipe is vegan, provided the sherry or Madeira you use is vegan friendly. You could use orange juice for an alcohol free version. Using Tamari instead of soy sauce will make the recipe gluten free. The best part is, you can adjust the spices to suit your family. If you prefer a milder stir fry, leave out the chilis. Conversely, ir if you like it hot, add as many, or as few, chopped red chilis as you like. 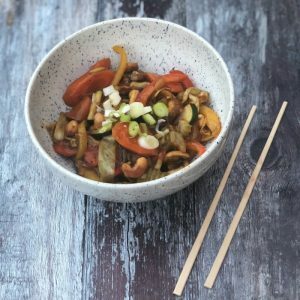 Serve the stir fry just as it is if you are trying to avoid carbs, or you can serve it over rice or with noodles if you prefer. (If you need the recipe to be gluten free be sure to choose gluten free noodles.) However you serve it, this versatile recipe is a real crowd pleaser! Put the corn starch in a medium bowl. Whisk in the vegetable stock until it dissolves. Stir in the soy sauce, Madeira or sherry, dried ginger (If using - fresh ginger should be added to the vegetables later), and pepper. Set aside. Put the vegetable oil and the sesame oil in a large non-stick wok or frying pan and heat over medium high heat. Stir in the sliced red onions, garlic, fresh ginger (if using) and chopped chilis (if using). Add the carrots and stir fry for a minute or two. Now add the mushrooms, red and yellow peppers, and zucchini (if using). Stir fry for 2 or 3 minutes, until tender crisp. If using snow peas, stir them in now, along with the cashews. Stir the sauce mixture and then add it to the wok, stirring and tossing with the vegetables. When the sauce thickens, stir in the sliced scallions. Serve in warmed bowls either as is, or over cooked rice or noodles (for gluten free be sure the noodles are suitable). If You Are Looking for More Vegetarian Recipes, Try These! Thank you so much for the feature, Miz Helen! Have a lovely weekend!